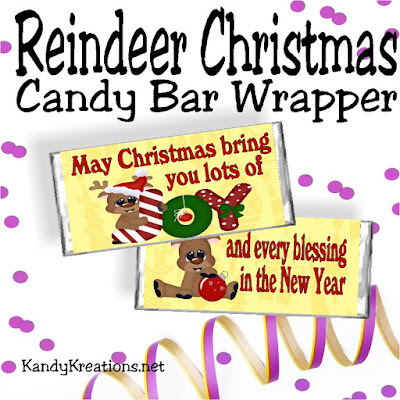 Give everyone on your Christmas list a fun Christmas card wrapped around a Hershey candy bar. 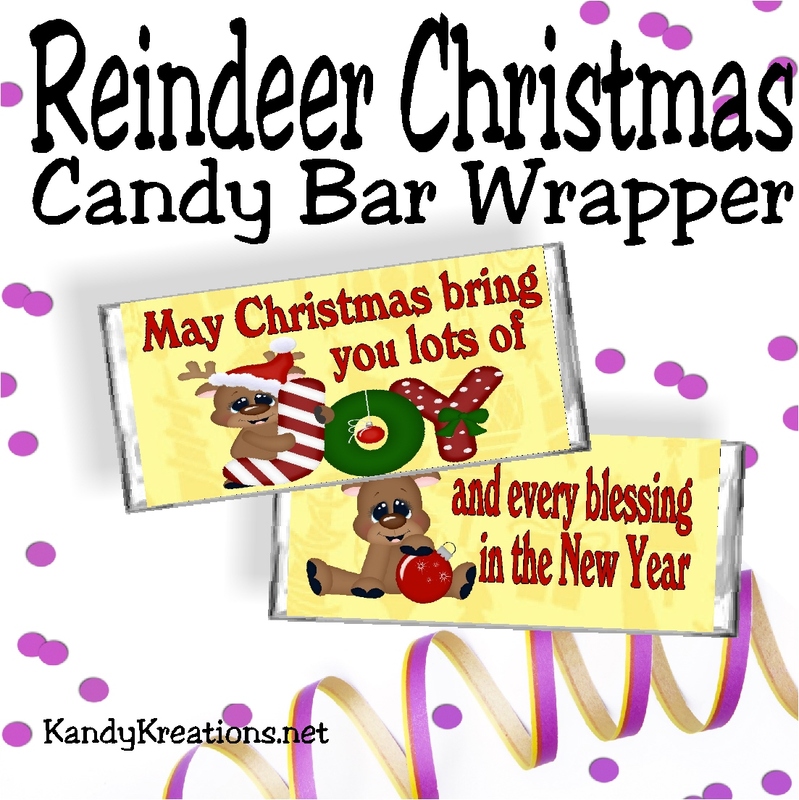 You'll be the star of Christmas with this beautiful Reindeer Christmas candy bar wrapper free printable. 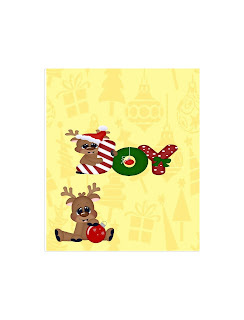 Did you get your Christmas cards out? I am so bad. I haven't done cards in years. I always felt like they needed to have the "what we did this year" letter in it, but I could never write one well. 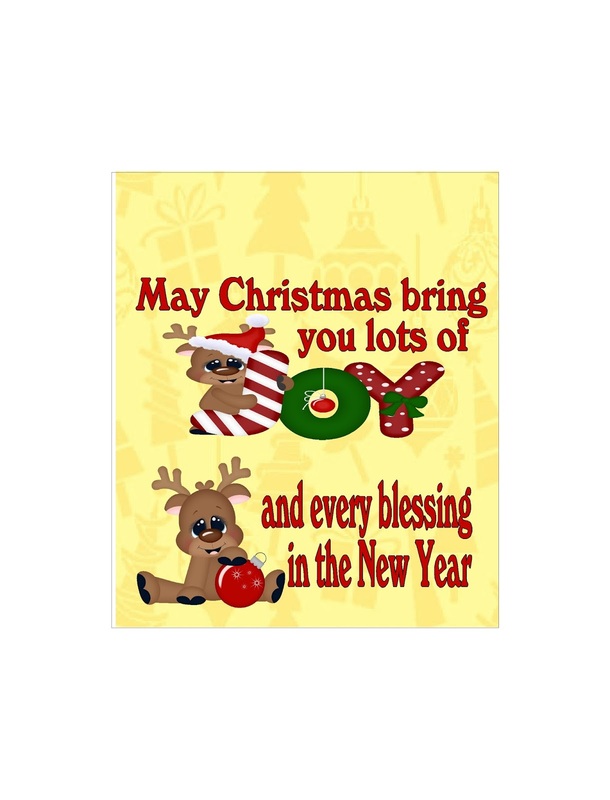 For a few years, Dear Hubby wrote the letter and we mailed out the cards, but then we moved and were in the hotel during Christmas. We never got back into the swing of it again. So instead of giving cards out at Christmas, I like to give Candy bars. Who won't forgive me for not having "THE" Letter if I give them chocolate instead? I haven't had any complaints yet. So today, I'm sharing a fun candy bar that you can give out to all your friends and co-workers this year. 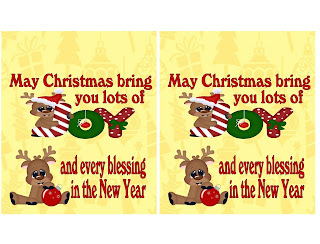 These three JPG files, are perfect for printing out on your home computer and wrapping around a regular candy bar for a fun treat for everyone on your Christmas list. 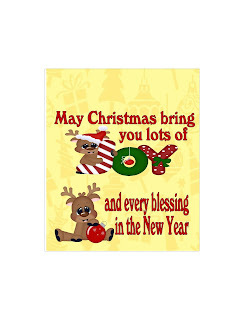 I hope you enjoy and have a Merry Christmas this week too!